This title, whose 'end' is meant to signify 'goal', brings John O'Loughlin's theorizing to a very absolutist head that refines upon the pluralistic consistency of what had preceded it, in earlier titles, in relation to what he calls 'the administrative aside to and triadic Beyond... read full description below. 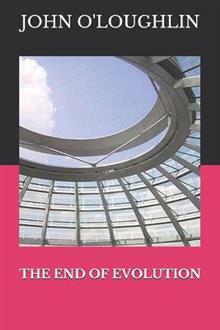 This title, whose 'end' is meant to signify 'goal', brings John O'Loughlin's theorizing to a very absolutist head that refines upon the pluralistic consistency of what had preceded it, in earlier titles, in relation to what he calls 'the administrative aside to and triadic Beyond of Kingdom Come'. For the trend of globalization towards what could be called a unitive peak in a more genuine universality at the expense of both Western and Eastern traditions alike presages a transcendentalist resolution which cannot but be equally, if not more, absolutist, and thus beyond both humanist/nonconformist relativity and fundamentalist absolutism. Such, then, is the import of this work of aphoristic philosophy as it develops its revolutionary message for the proletariat and appears to enter into a more complete solidarity with proletarian internationalism, albeit of a non-Marxist character, than might formerly have been expected from this author, even as recently as a few years ago. In this respect, too, it signifies a worthy component in the long struggle for Truth which has characterized his oeuvre, both here and elsewhere over several decades of consistent philosophizing, with the end of a revolutionary transformation of society always in mind. John O'Loughlin is a Galway-born author who, at the age of 21/2, was brought over from Ireland to England by his Aldershot-born mother and grew up first in Hampshire and then in Surrey, where he attended a variety of state schools. Most of his adult life has been spent at different addresses in the London Borough of Haringey, north of the Thames, to which he moved from Surrey in 1974, and all but a few of his books have been written there, the majority of which, like this one, are of an intensely philosophical not to say metaphysical and even ideological nature.